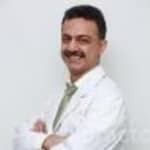 Dr. Gaurav Kakkar is one of the best Ophthalmologists in New Delhi, Delhi. He has been a successful Ophthalmologist for the last 27 years. He is a qualified MBBS, M.S., Fellowship . You can visit him at Venu Eye Institutional & Research Centre in New Delhi, Delhi. You can book an instant appointment online with Dr. Gaurav Kakkar on Lybrate.com. Lybrate.com has a nexus of the most experienced Ophthalmologists in India. You will find Ophthalmologists with more than 43 years of experience on Lybrate.com. You can find Ophthalmologists online in Delhi and from across India. View the profile of medical specialists and their reviews from other patients to make an informed decision. Very efficient doctor .Have lots of patience.Knowledge is power defined by Dr.Gaurav kakkar. My name is Vinay I have conjunctivitis problem please suggest me sum effective medicine. Some general precautions are 1. Do not touch your eyes 2. Wash your hands frequently. 3. Keep your belongings like towel, hanky, remotes. Etc. Separate or touch with washed hands. And regarding medicine you have to conslut doctor to rule out corneal involvement. My 5-year-old daughter has asthma. What is the effect of using an asthma preventer long-term? I heard that using it for years might cause bone shrinkage. Is it true? Are there any vitamins or supplements to help vision? What is keratoconus? Where this disease treatment is better? Which cause this disease occur? Keratoconus, often abbreviated to “KC”, is a non-inflammatory eye condition in which the normally round dome-shaped cornea progressively thins causing a cone-like bulge to develop. This results in significant visual impairment. The cornea is the clear window of the eye and is responsible for refracting most of the light coming into the eye. Therefore, abnormalities of the cornea severely affect the way we see the world making simple tasks, like driving, watching TV or reading a book difficult. Keratoconus treatment depends on your symptoms. When your symptoms are mild, your vision can be corrected with eyeglasses. Later you may need to wear special hard contact lenses to help keep vision in proper focus. Here are other ways that your ophthalmologist might treat keratoconus: Intacs. This is a small curved device that your ophthalmologist surgically puts in your cornea. Intacs help flatten the curve of your cornea to improve vision. Collagen cross-linking. Your ophthalmologist uses a special UV light and eye drops to strengthen the cornea. Doing this helps to flatten or stiffen your cornea, keeping it from bulging further. Corneal transplant. When symptoms are severe, your ophthalmologist may suggest a corneal transplant. Your ophthalmologist replaces all or part of your diseased cornea with healthy donor cornea tissue. I have many problems so watch TV per day so many water like eyes so please help me and so big problem early morning so chip chip eyes so please help me. I have pain in eyes. Muje khujle hoti hai ek week se aur irritating lagta hai. Nw please tell me what will I do? Ma'am are you working over the electronic gadgets too much? please restrict your time at one go especially. Take frequent breaks and work have 8-10 glasses of water in the day wear sunglasses don't rub your eyes splash drinking cold water use a lubricanting eye drop 3-4 times a day. I have a red eye for a quite a long period now, its was just paining in the first few days but nw paining has stopped. Eyes appear red because the vessels at the surface of the white portion of the eye (sclera) become swollen. Vessels may swell due to: •	Eye dryness •	Too much sun exposure •	Dust or other particles in the eye •	Allergies •	Infection •	Injury Eye infections or inflammation can cause redness as well as possible itching, discharge, pain, or vision problems. These may be due to: •	Blepharitis: Swelling along the edge of the eyelid. •	Conjunctivitis: Swelling or infection of the clear tissue that lines the eyelids and covers the surface of the eye (the conjunctiva). This is often referred to as "pink eye." •	Corneal ulcers: Sores on the cornea most often caused by a serious bacterial or viral infection. •	Uveitis: Inflammation of the uvea, which includes the iris, ciliary body, and choroid. The cause is most often not known. It may be related to an autoimmune disorder, infection, or exposure to toxins. The type of uveitis that causes the worst red eye is called iritis, in which only the iris is inflamed. Other potential causes of eye redness include: •	Colds or allergies . •	Acute glaucoma: A sudden increase in eye pressure that is extremely painful and causes serious visual problems. This is a medical emergency. The more common form of glaucoma is chronic and gradual. •	Corneal scratches: Injuries caused by sand, dust, or overuse of contact lenses. Sometimes, a bright red spot, called a subconjunctival hemorrhage, will appear on the white of the eye. This often happens after straining or coughing, which causes a broken blood vessel on the surface of the eye. Most often, there is no pain and your vision is normal. It is almost never a serious problem. Because the blood leaks into the conjunctiva, which is clear, you cannot wipe or rinse the blood away. Like a bruise, the red spot will go away within a week or two. Homoeopthic medicine BOTHROPS 30 ( Dr Reckeweg) Drink 4 drops in 1 spoon freh water 3 times daily CINERARIA /EUPHRASIA EYEDROPS ( SBL ) pour into eyes 1-2 drops 3 times daily If no relief within 15 days,please cosult an Eye specialist for physical examination. I am having problem in my eyes from last 3 years. Eyes always get red fully blood. What should I do now. Sunglasses or UV protection or mirrored glasses which is best for eyes protection and which keeps eyes always from stress? Hello you can use sunglasses when in sunlight and UV protection glasses when you work on mobile or computer and also when you drive at night. Home remedies or any ointment for blackish colour around eyes since many years please suggest any ayurveda or home remedy age of girl is 20 she is studying b com and she is using specs for eye sight. My three years old daughter have eye problem which may be squint or false squint........ I want to know about this issue , can you help me out of this? Squint is basically misalignment of visual axis of two eyes (meaning 2 eyes looking in different directions).Type of squint can be detected by few tests conducted by ophthalmologists. Ideally, all squint patients should visit an ophthalmologist at its earliest so as get diagnosed correctly and to save vision with aggressive eye exercises and medical management . And if not managed early, it can lead to significant loss of vision in lazy eye which is almost inevitable to restore vision. However, in later case, only the alignment of eye can be corrected with surgery for cosmetic purposes but no vision is improved.